The handset industry is in the middle of another power struggle. Handset manufacturers used proprietary chargers and interfaces before device charging was standardised by USB. In some cases, chargers differed among phones from the same handset brand. However, given the massive volumes of chargers ending up in landfills, governments and industry organizations began pushing for standardised solutions with the hope of enabling and encouraging reuse. There was intense lobbying from major manufacturers but, in the end, the trend was toward USB charging. The current scuffle between Qi and Rezence, two brands of wireless power technologies, is already creating confusing for users. To make matters worse, the specification development work is spread across three different organizations with overlapping memberships. Companies such as Qualcomm, Samsung and LG back both technologies — such hedging of bets isn't unusual in the world of standards, and is likely to accelerate common agreements between the organisations. However, it won't come soon enough to prevent a learning curve for consumers. Recently introduced wearable devices such Motorola's smartwatch should act as a catalyst for wireless charging. The Moto 360 is expected to use Qi (pronounced "chee"), a specification developed by the Wireless Power Consortium. Several higher-end smartphones support Qi charging out of the box, and there are millions of Qi-enabled devices already in the hands of users. 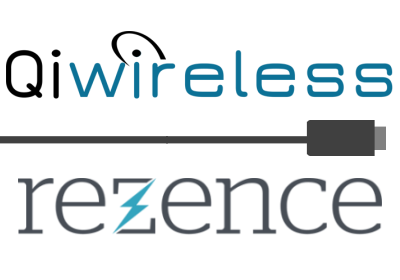 Competing wireless charging technology Rezence is developed by the Alliance for Wireless Power (A4WP), and appears to be the more flexible solution — it supports multi-device charging and devices don't have to be aligned as precisely as with Qi. Last month, Starbucks announced a partnership with Duracell to begin a US-wide rollout of wireless charging using Duracell's Powermat. This won't help users of Qi-enabled devices, however. Imagine if Wi-Fi hadn't become the standard way to connect to a local wireless network. If your laptop didn't support the standard offered in one place, you'd have to go somewhere else. In an effort to bring power to the people, interoperability is a must. It's worth the energy to get this right.